David Bowie was born David Jones on 8 January 1947 at his family home on 40 Stansfield Road, Brixton, where he lived until the age of six. He changed his name in 1966 after Davy Jones of The Monkees shot to fame. The son of a waitress and promotions officer for Barnardo’s, he attended Stockwell Infants School until 1953, when his family relocated to Bromley in Kent. At Burnt Ash Junior School he was a member of the school’s choir, where it is said his voice was considered “adequate”. He was in a number of bands before being signed with Mercury Records, which released his album Space Oddity in 1969. The title track went on to become his first UK number one. In 1972 he achieved his breakthrough with The Rise and Fall of Ziggy Stardust and the Spiders From Mars, which peaked at number five in the UK charts. In a career spanning six decades, Bowie achieved five UK number one singles and nine UK number one albums. Messages have been flooding in paying tribute to the star. 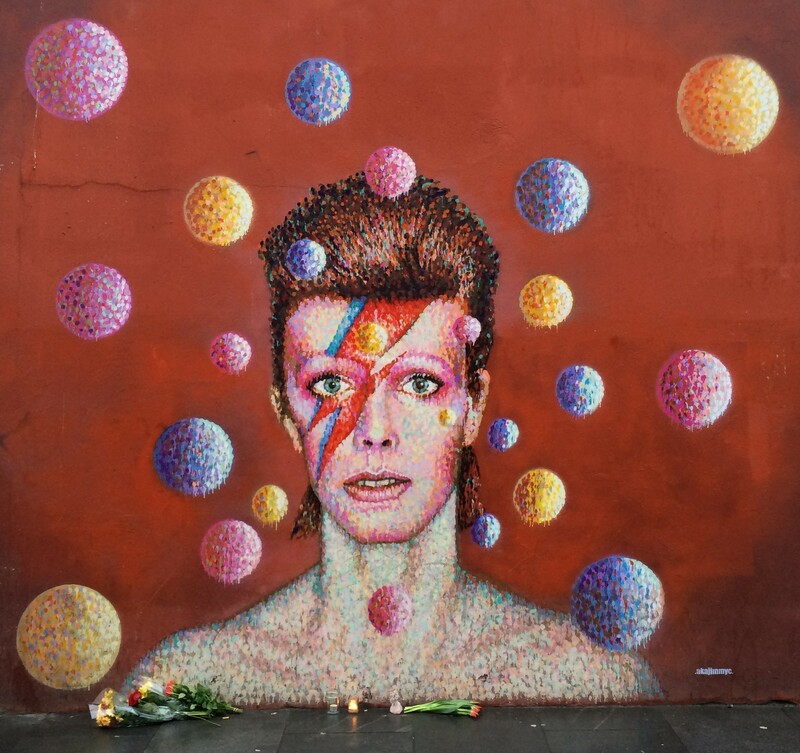 Flowers and candles have been laid at the mural of Bowie that can be seen on the wall of Morley’s department store in Tunstall Road. Painted by Australian street artist James Cochran, it is inspired by the album cover of Bowie’s 1973 record Aladdin Sane. Collaborators of Bowie have also been paying their respects. Tony Visconti, who produced a number of Bowie’s albums, including Young Americans and his avant-garde ‘Berlin trilogy’ of Low, Heroes and Lodger, said: “He always did what he wanted to do. And he wanted to do it his way and he wanted to do it the best way. His death was no different from his life—a work of Art. He made Blackstar for us, his parting gift. An official statement released on Bowie’s social media accounts said: “David Bowie died peacefully today surrounded by his family after a courageous 18-month battle with cancer. Bowie released his 25th studio album Blackstar on Friday. It is currently the bestselling album on iTunes and Amazon in the UK, and the second bestselling album on iTunes and Amazon in the US. 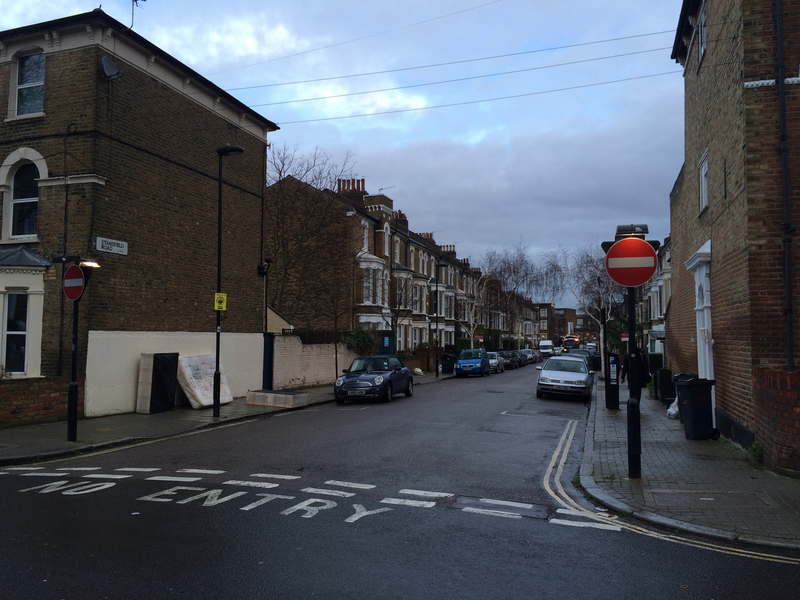 Taken from Brixton Blog/Bugle, published 11 January 2016.